Year-end lists stress me out. Working in the music industry, it’s part of seasonal cycle. NPR, Pitchfork, and every other big league hitter in the game posts their favorites from the past twelve months—not to mention every other human in cinema, literature, or music with a blogging inclination and the proclivity for hierarchy. I never participate out of the fear that I’ll leave out some film I forgot, demonstrate my ignorance of something I should have read, or else proclaim how great Jessica Lea Mayfield’s newest record was, even though it actually came out in 2014 and I just now found it. Not that anyone cares that much. I’m just fastidious that way. But recently I saw in my feed a professor-friend of mine post her list—not 2016’s best literary offerings, but simply her favorite books she’d read this year. It was mellower and less temporally urgent. I felt inspired. It was a bit of a slow year for me. I usually aim for a book a week on average, but I had a few slow months and I tackled some thicker tomes. 26 in total. So here are my seven favorites. First book of the year set the bar high, especially for being one I bought based solely on the cover. 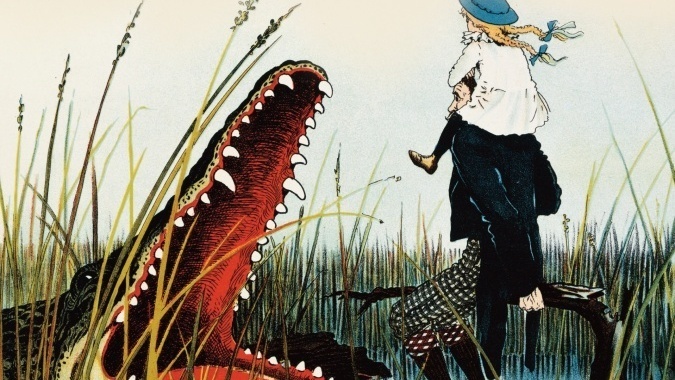 Russell’s magical Everglades harken back to the open-handed juvenile mysticism of Bradbury or Juster with her 13-year-old narrator. Born in Florida myself, I have a soft spot for the mythos of the tropic South, but I believe that the elements of alligator wrestling, a mysterious vulture-man, and a hell-themed amusement park won’t be uniquely intriguing to native southerners. Like most great literature though, these are trappings for greater universal themes: paternal abandonment, the confusing sexuality of coming of age, and the ulterior motives of dreaming messiahs. 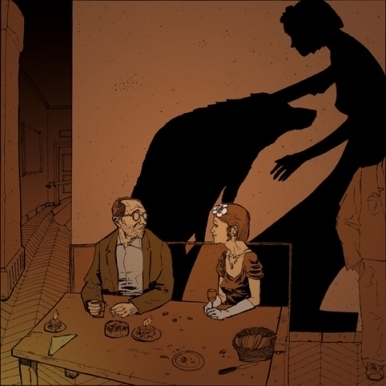 Listen to your parents. My mom told me to read this for a decade, but I never got around to it until Elliot Kalan (The Daily Show, The Flophouse) cited it as his favorite novel. I was understandably skeptical about a detective novel written by an orthodox theologian, but I was absolutely floored by how deftly Thursday hooked me. With none of the accessories of a traditional mystery novel, Chesterton creates a compelling universe that blends espionage, philosophy, swordplay, and a startling heavy dose of surrealism. It was my single favorite novel of the year. I am a disciple of and evangelist for all works Hesse. This is his sixth offering of which I have partaken, and while it was not my favorite of his (not even top three), it is still leagues beyond its genre colleagues. Few authors have ever perfected the “philosophical novel” like Hesse did, nor married Eastern and Western philosophies so adroitly. Contemplating the dualistic nature of humanity—his man-self and his wolf-self, his civilization and his savagery—the author delves into a harrowing introspection that elicited more “amens” per capita from me than any other book I read this year. And as a sucker for psychedelia, the third act was an absolute dream. Outlier. Keller is one of my favorite postmodern teachers, balancing Gospel-oriented theology with strongly practical social justice applications. This one was a gift, and when I got past the implications of my parents’ insinuation that I should be settling down, I was able to read it in a very objectively removed idiom, being a long-single man with no immediate prospects. It did two things for me: portray a Christian marriage in a light that made such a union immensely desirable, and alert me to the gargantuan amount of labor one such relationship takes to succeed. Read: I want to get married, but definitely not yet. It also reminded me of the direct correlation between media input and thought output. I’ve never felt so qualified to have conversations with my married friends. Messiah just beat out its predecessor on my list. I also read Dune this year, the seminal work in Herbert’s sprawling series, but there is a learning curve with science fiction, especially when the universe building is as intricate and vast as Herbert’s. 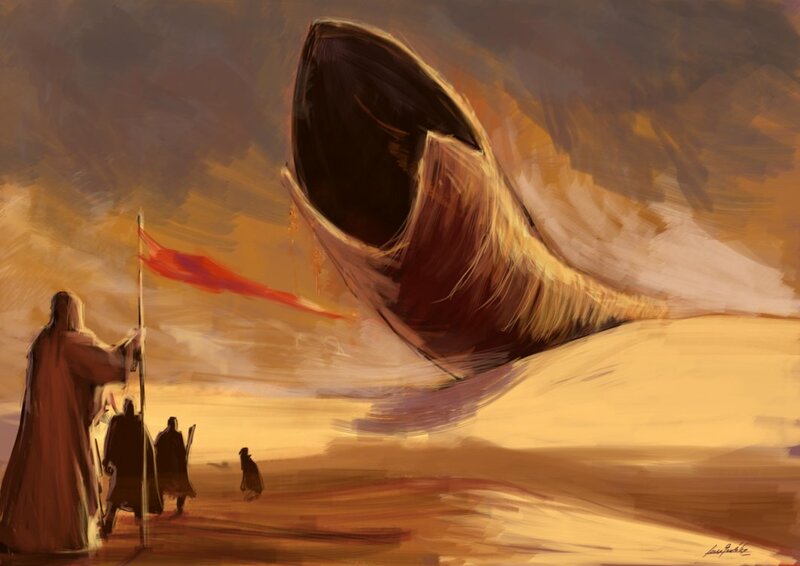 True literary sci-fi, the Dune books transport us to a desert planet with giant sand worms, laser shields, and space witches, but the books aren’t about witches and worms. They’re about families, class warfare, and planetary ecology. Learning the Dune world is hard, like learning Burgess’s contextually intuitive Clockwork Orange dialect, but it’s well worth it. Already being familiar with Arrakis made the sequel easier to broach. But it’s also a tighter novel with a more focused plot line. And it has shapeshifters. And a resurrected zombie-sort-of bodyguard with metal eyes. And a squid in a tank that runs a guild. You know. Skip the David Lynch adaptation, he’s ashamed of it and it looks better in your head anyway. Hopelessly misplaced in time, I have an affinity for all things “groovy.” Pynchon, while not as classically heralded as Wolfe or Brautigan, has crafted a deeply lasting and multidimensional portrait of the declining 1960’s in America. Following the stoned misadventures of a burnout detective across surf concerts, gang turfs, and an international maritime trade conspiracy, Pynchon manipulates his prose to unbalance his reader until you’re wondering, “Did I take something and forget about it?” The mystery, the cultural snapshots, and the emotional range of the characters are all impressively engaging in their own rite, but it’s the main character’s unreliable, hyper-high perspective that shades everything in tie-dye, crowning this work as a masterful novel that begs to be smoked in one sitting. 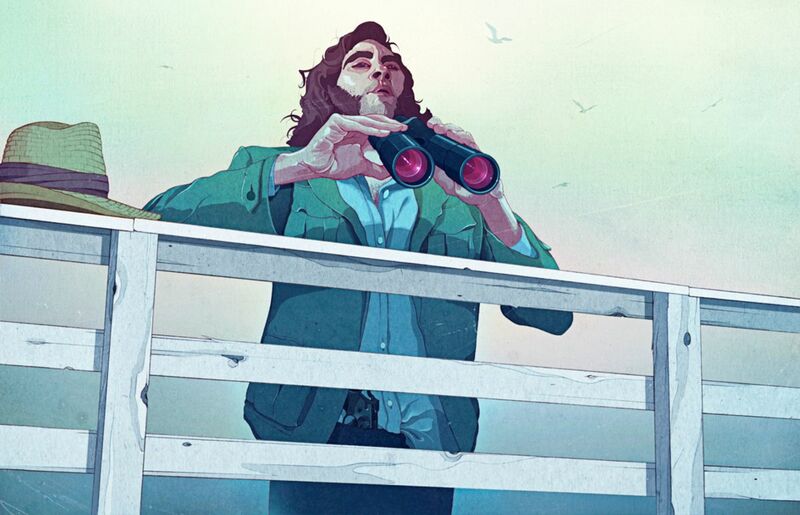 Adapted for film by Paul Thomas Anderson and starring Joaquin Phoenix. Outta sight. I read a lot of books by old white men. I relate to them. But I asked some friends this year to steer me toward their favorite works by women and people of color, and in so doing, I found A Tale for the Time Being. A novel kind of about a writer on a remote Canadian island, a suicidal Japanese middle school girl, a Hello Kitty lunchbox, a bald nun, and a cat named Pesto. Had I picked this off a bookstore shelf, I would likely have promptly returned it to its dusty niche. But taken on a trusted recommendation, I read this near the year’s end and was broadened, moved, and satisfied. Ozeki manages to combine Buddhist philosophy, the marine biology of the Pacific gyre, World War II history, and quantum mechanics into a story about a bullied little girl’s existential crisis without ever seeming like she’s trying too hard. It’s one of those books that makes you sad when you’ve finished because you feel like you’ll never see those friends again. So it’s not a particularly current list, but it’s my travel log. If you’re looking for a good read to kick off your new year, I can recommend any of these with no qualms. Here’s to the stacks in 2017.